There are so many little changes you can make to your studying routine that can have massive benefits. Your diet can be one of the easiest things to change and yet, it’s still one of the most overlooked. And it doesn’t even have to be massive changes you make. An overall healthy diet is a great idea – but even healthy snacking during your study sessions avoids physical distraction like hunger and helps improve your energy levels. Let’s look at how you can best improve your study results by working on your diet. Before we look at the specifics of your diet too much — you need to understand something. Studying is not about how long you spend looking at a book or a computer screen. But, even with the best studying techniques around, you still need to crack a book open once in a while so let’s look at how we can maximize your diet to do this. Soilen has some great suggestions on how to work on your studying diet overall. Water is a massively neglected suggestion which everyone should use. I know I constantly say our study techniques should all be unique and you need to experiment, but seriously. Drink water. 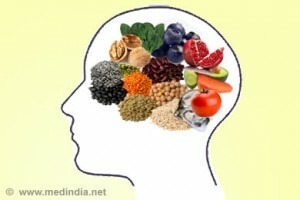 Consumption: Don’t eat too much at one go instead consume all your proper diet in 6-7 meals. If you need take light meal or fruits or milk as per body your requirement. Avoid: oily foods, junk food, fast foods, and other eatables with zero nutritional value like cold drink chips chocolate ice cream……. In digestion process oxygen is required. And our mind also need proper supply of oxygen. (Oxygen in blood circulation and not environmental oxygen). So when we consume lot of calories oxygen supply to mind become weak and we start feeling sleepy. Take more nutritional and protein diet . Milk soybean, cereals, dry fruits,vegetables fruits . Vitamin E is also very important.